Lenovo is also looking at Google's DayDream VR platform. Lenovo will build more virtual and augmented reality devices after its new Phab2 Pro smartphone, and virtual reality headsets may be high on that list. The Phab2 Pro, which was introduced on Thursday at the company's Tech World conference, closes the gap between 3D virtual and real worlds. But the Phab2 Pro, which is based on Google's Project Tango visual computing platform, is just the start. The company is planning more devices with Project Tango, Jeff Meredith, vice president and general manager of Android and Chrome Computing at Lenovo, said in an interview. "It's important not to think of [Phab2 Pro] as a one-off product, but the first step in a longer-term plan," Meredith said. "We want to move it into different form factors in the future." Virtual reality headsets are also a possibility, Meredith said. He didn't say whether the products would be related to Project Tango or other platforms like Google's DayDream or Windows Holographic. Lenovo's initially backing Project Tango, but in the past has said it is open to building an AR headset similar to Microsoft's Hololens if there's demand for the product. The company's goal is into make devices where use cases are pervasive, and can enrich the lives of users, Meredith said. The $499 Phab2 Pro smartphone has a 6.4-inch screen and attempts to bring perspective and context to things that people see and experience every day. With the smartphone, users can measure distances, navigate indoors, or learn about objects within view. The information is presented on the smartphone's screen. Users can also play AR games by superimposing virtual images on real-world backgrounds. Also, users could preview new room designs by overlaying images of furniture on a room in view. There are many use cases for Project Tango devices in the enterprise, Meredith said. For example, field workers could do maintenance tasks by taking advantage of templates and guide posts. Companies can also simulate visual experiences in the medical and automotive fields. 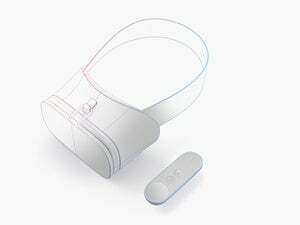 Lenovo is also interested in opportunities to make VR devices based on Google's DayDream platform, which was announced at the I/O conference in May. The platform will be released later this year. There are hardware and software differences between Tango, which is more for AR, and DayDream, which is for VR. For one, DayDream devices need top-line processors and are designed for use with headsets, while Tango devices don't have such requirements. Companies like HTC, Samsung, LG, and Huawei are building smartphones on the DayDream platform, and Lenovo is not yet on that list. Lenovo is already the world's top PC maker, and it is looking at new markets. 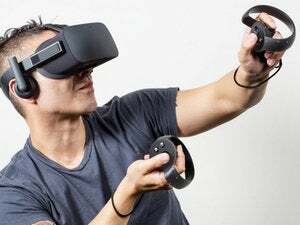 The company has diversified into growth markets like enterprise computing, gaming, and now, virtual reality. Lenovo has already said it is building a range of AR and VR devices, many of which may carry vision computing chips from Movidius.